There probably isn’t a single Aussie or Kiwi who does not know what the National Rugby League is. Compared to other professional rugby leagues, the NRL is young, but in the 20 years since its formation, its effect has been that of a force of nature. Take a closer look at its history. I’m sure it will add a whole new dimension of appreciation next time you watch your favourite clubs face one another on the field. It’s a bit of an understatement to say that corporate sponsorship, ticket sales, and professional sport go hand in hand. The thing is, there is only so much money to go around. By 1997, two major rugby league competitions played by 22 teams stretched things to the limit. In September that year, the Australian Rugby League made public its plans to form a new company in charge of the competition. The ARL invited Super League clubs to join in, and in December that year, ARL-affiliated club representatives met at Sydney Football Stadium to vote on the acceptance of a New Limited settlement offer. The vote was favourable, and the NRL, owned by the ARL and News Limited, began to take shape. Only 20 clubs would see the NRL’s inaugural 1998 season; of them, 19 were ARL/Super League clubs, the other one being Melbourne Storm! Eventually, more clubs were shut down. The goal was to whittle the number of participating clubs down to 14 by the year 2000. Clubs were assessed, and some merged to form formidable join ventures. The NRL‘s 1999 Grand Final saw 107 999 spectators flock to Stadium Australia for the match between Melbourne Storm and St George Illawarra Dragons, setting a new world record for rugby game attendance. That game helped create the annual Grand Final’s reputation for not only sporting action, but online betting NZ action as well. The NRL got the new millennium off to a shaky start. Fans’ tempers had began to flare when the South Sydney Rabbitohs were excluded from the competition at the end of 1999 for not meeting competition standards. The move was met with continued resistance from fans, and in November 2001, it all came to a head. 80 000 protesters marched, and the Souths took the NRL to the Federal Court for unfair exclusion. Justice Paul Finn dismissed the claim; a decision that was appealed by the Souths, who were brought back into the NRL fold in 2002. In the meantime, the Auckland Warriors crumbled under financial difficulties, only to find new life as the New Zealand Warriors ahead of the 2001 season, which saw Telstra become the NRL’s naming rights sponsor, and go on to the Grand Final in 2002. From 2003, it was onwards and upwards for the NRL. That year, as well as the two that followed, saw crowd records broken, the Manly-Warringah Sea Eagles’ return, and a massive increase in merchandise royalties, sponsorships, and TV viewers. In 2005, the league made a ground-breaking move for mainstream Australian professional sport when it appointed a female governing body director in the person of Katie Page. In 2011, the Australian Rugby League Commission, a new, independent body, took charge of the NRL. 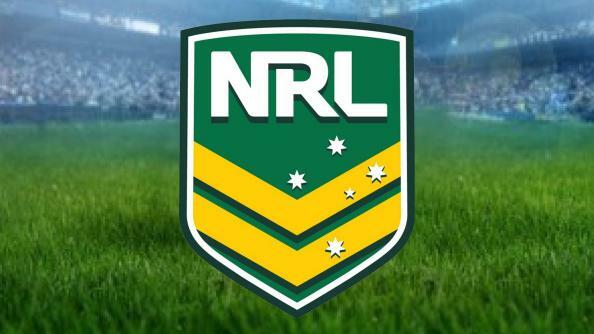 The rugby teams currently in the NRL include the Brisbane Broncos, Bulldogs, Canberra Raiders, Cronulla-Sutherland Sharks, Gold Coast Titans, Manly-Warringah Sea Eagles, Melbourne Storm, Newcastle Knights, North Queensland Cowboys, Parramatta Eels, Penrith Panthers, South Sydney Rabbitohs, St George Illawarra Dragons, Sydney Roosters, and Wests Tigers, and the New Zealand Warriors.